Writing blogs can be beautiful. Don’t you just love when you get hit by a flow of inspiration and your fingers simply fly across the keyboard? You’re sharply focused, your body and mind feel perfectly synchronized, and your thoughts get organized into logical sentences, available for anyone to read and contemplate about; you get immersed in the story that magically appears on the screen. Yes, creating can be very fulfilling, whether you’re writing with a business goal in mind or just because you feel the need to. But today – we’re not going to talk about the exciting feeling that occurs when you’re blessed with inspiration. We’re about to discuss the curse of creative block and offer several actionable answers on how to find topics to write about. Some might say creative blocks are an illusion or just a trick that our minds occasionally pull on us, but nonetheless – we’ve all experienced them. It’s not easy to cope with the inability to write (or to find something to write about), especially if you’ve once felt the addictive fever of creating something out of nothing. The lack of inspiration can be caused by various psychological factors, such as increased levels of self-criticism, fears of failure or not being good enough, and creative burnout. Perfectionism can also get in the way of creativity, as well as the lack of work motivation or a sudden loss of purpose. When a person experiences some disruption in mental health such as anxiety, it can interfere with the usual creative flow. Creative blocks are always caused by the problems with focus. The ultimate level of focus is identified as the flow and it was described by the Hungarian-American psychologist, Mihaly Csikszentmihalyi. Some might say creative blocks are an illusion or just a trick that our minds occasionally pull on us, but nonetheless - we’ve all experienced them. Viewed through the experiential lens of flow, a good life is one that is characterized by complete absorption in what one does. Focusing and being completely present in the moment are therefore the keys to a life that’s both balanced and creatively rich. 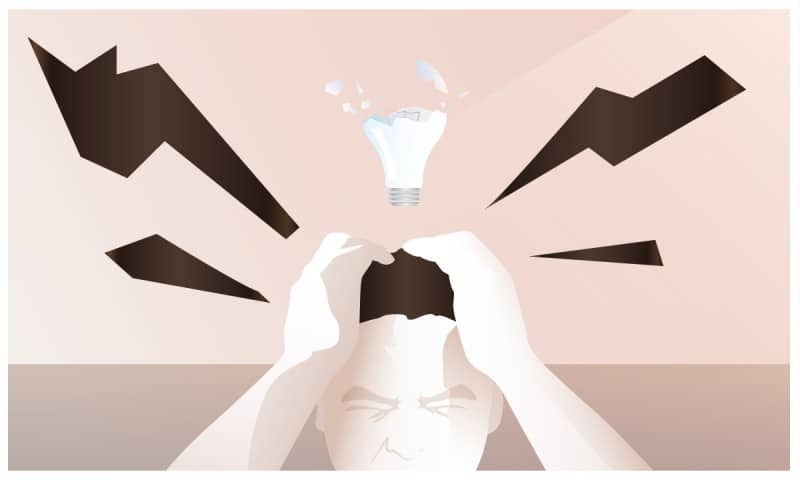 Luckily, there are ways to overcome the obstacle that is poor focus, and reframe negative thoughts (e.g. harsh self-criticism) that often come as a byproduct of writing. Focus is similar to any kind of muscle: if you practice it, it will eventually become stronger and you will gain more control over the creative process. The idea of mindfulness is tightly connected to it and meditation is one way to train your thoughts and achieve more mental discipline. Now, this might surprise you, but a wandering mind can also be beneficial for creativity, studies have shown. When you let your thoughts fly freely, you’re actually doing the opposite of being focused. But, research proved this strengthens your divergent thinking skills and makes you more open to experiences, which may lead to unexpected discoveries and innovative ideas. Now that we’ve covered the anatomy of a creative block, let’s move on to actually exploring some clever ways of brainstorming new topics to write about on your blog. Whether you’re just getting started with blogging or you’re looking to level up your current writing game – you need to acknowledge your audience. So, think about this: who is your target group and why are you blogging in the first place? Is it a hobby, a part of your personal branding strategy, or maybe a business blog that’s supposed to help your company gain more visibility and credibility in the industry? Whatever your motive is, you need to explore the problems and questions your audience has. This is the first tactic for finding new topics to write about. You should always aim to create high quality, educational, and intriguing pieces of content, but in addition to this – you need to ensure your post is in fact purposeful and actionable, i.e. that it solves a certain problem. And how do you learn more about your audience? By keeping your eyes and ears open and by being empathic. Walk in the shoes of your audience and start brainstorming: how can you help them with your expertise? You can use the technique of mind mapping in order to come up with some ideas, here’s how. Let’s say you run a fitness blog, so the main things you write about revolve around healthy nutrition, diets, workouts, fitness regimes, etc. Start by choosing one main topic and write it in the center of a big paper, for example – exercise. That’s what your next blog post will be about, but it’s still too general. Next, draw branches from your main topic in order to come up with sub-themes that are directly connected to it. In our case, these can be sub-themes like lower body exercises, best workout regimes, fitness motivation, etc. The point here is to train the brain and trigger semantic associations by guiding it to think in a very specific direction. Whether you’re just getting started with blogging or you’re looking to level up your current writing game - you need to acknowledge your audience. Once you come up with sub-themes, you can add new branches that furtherly narrow the topic until you come up with a specific thing you can write about. The best way to get there is by always filtering the possible topics through the prism of your audience. Ask yourself: Will my audience be genuinely interested in reading about this? That’s better. This is a perfectly relevant topic for a fitness-oriented female audience. However, in addition to independently brainstorming, you should pay more attention to comments on social media, reviews in the industry, and particularly to questions posted on public forums such as Quora or Reddit. This is literally a gold mine of content ideas. Organize the questions that sparked the most discussion into one doc and answer them in separate blog posts. Yep, it’s that easy. But, what about the data-driven approach? We’re getting there, so keep reading. Two most popular tools for keyword research are Google Keyword Planner (recently renamed into Google Ads) and Ahrefs. Both tools help you come up with a list of relevant keywords, which is the first step towards coming up with an awesome topic. You should aim for keywords that have high search volume and low keyword difficulty, as this combination of metrics signals there is a high demand for that particular phrase, but not a lot competition. There’s your chance to bring more organic traffic to your website and come up with topics that are both search- and user-friendly. Start by listing all of your keywords in Excel sheet. Try to group them by categories. 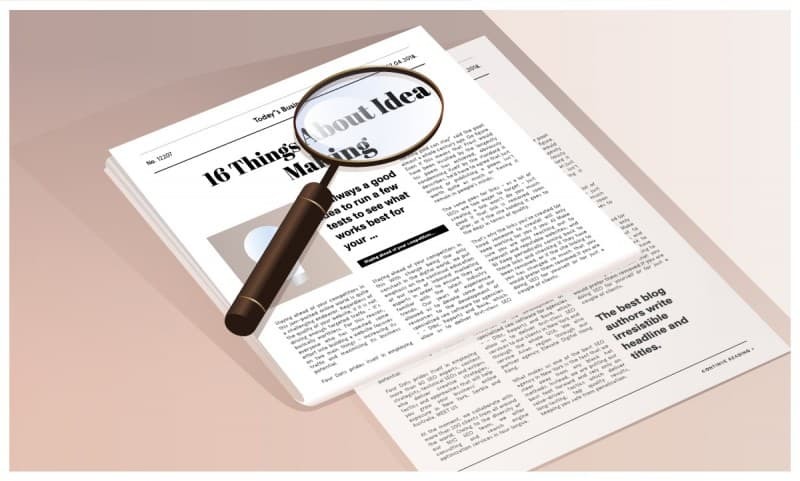 Identify great opportunities and then use them as a starting point for brainstorming article titles. The idea for your next blog post will appear in no time. Ahrefs is also useful for snooping around your competition, but you can do so via simple Google search, too. Again, organize all information about your competitors into a document that you can use for content brainstorming. You might steal a few good tricks from them or decide to create a better resource on the topic they’ve covered. You can use Buzzsumo or Google Trends to pinpoint the most popular types of content in your industry. Another creative way to do so is by conducting a good old search query on Google. Pay attention to the suggested search section (Searches related to…) at the end of the SERP, as well as to autocomplete suggestions by Google. All of this can lead towards a sudden idea for a blog post. Tools like HubSpot’s Blog Ideas Generator can also be of use, as well as Answer the Public, which helps you discover the most popular questions people are searching the answers to. Being original doesn’t necessarily mean you have to reinvent the wheel. Sometimes, it’s enough to bring a fresh, new perspective to some of the existing topics that are of interest to your target audience. This is a great tactic particularly if you’re involved in an industry that’s considered to be a bit dull or boring. You can try to simplify complex phenomena to your readers, and that will make your resource valuable and your brand recognizable. It’s not just what you say that matters, but how you say it. Being original doesn’t necessarily mean you have to reinvent the wheel. Sometimes, it’s enough to bring a fresh, new perspective to some of the existing topics that are of interest to your target audience. Of course, you should not force a controversial position if you don’t truly stand by it. But, going against the mainstream is what attracts attention and challenges people to think differently. Contemplate about a possible topic that’s not simply black or white, think it through, try to deepen it and seek arguments. The research will be exciting for you and it will definitely pay off. Who says you have to work on a blog post alone? Think about different formats such as interviews or expert roundups. These are always welcome in content marketing as they are unique and often spark discussions. You can use HARO to easily reach relevant professionals and gather these insights into one post. What is currently trending? Think about the elements of pop culture that your audience is interested in and mix it up into a single topic. We did that with Game of Thrones and the topic of branding, which made the article both fun and educational. You should always reflect what you’ve done so far in order to progress and come up with fresh content ideas. Try to reverse-engineer the success of your previously published article posts in order to brainstorm new topics and identify what only YOU can offer to your audience. For example, our article What Are Subdomains and How do They Affect Search Engine Optimization is one of the best performing posts we had this year and it still generates a significant amount of traffic for us. The reason why it is a success? And you can do the same, within your area of expertise. Case studies, step-by-step guides, and personal stories with valuable business lessons are the types of content that always perform well. You just have to devote time to really focusing on what story you can share with others that cannot be read anywhere else but on your website. Are you ready to get started? Register your domain name with .ME and dive into the exciting world of blogging!